There was a desire to create a durable wristwatch that would be able to withstand basically anything that Mother Nature had to offer. There were little to no offerings of such a watch during the 1980s. In comes Casio, who designed and brought along the DW-5000C, which would evolve into the G-Shock we all know and love today. It had a 10-year battery life, 100m water resistance, and was able to survive a 10m fall. There were stories of the Casio design team dropping prototypes off of the Casio headquarters window to test it out. Not sure if any of that is true but one thing is certain: G-Shocks are built to last. The innovative insides of a G-Shock involve adding elements to protect the quartz movement, such as building a floating cradle where the movement sits in to absorb impact, the exterior rubber bumper, the stainless steel case, the mineral crystal. 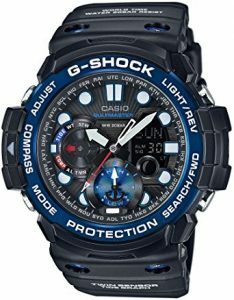 All these features compounded to something that can withstand the shocks of gravity, creating an impressive product for Casio. The claim further became etched in stone on December 12, 2017, when G-Shock earned the Guinness World Record for “the heaviest vehicle to drive over a watch”. Guinness World Record drove a 24.97 ton truck over the Casio G-Shock DW5600E-1. 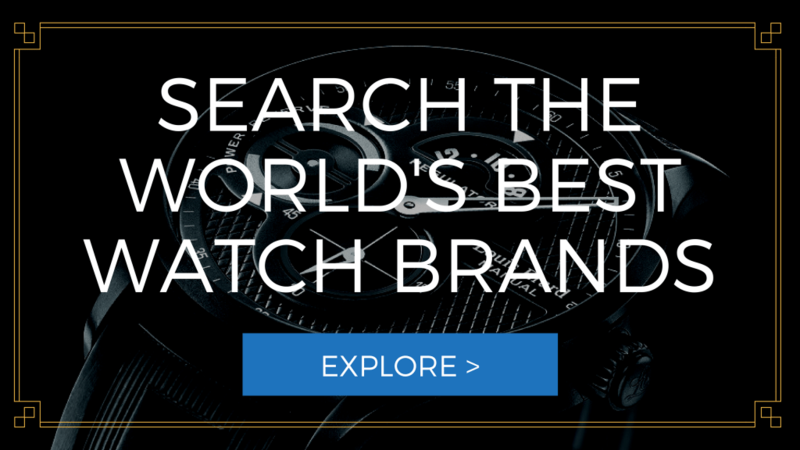 The G-Shock is the first watch by any company being able to withstand the challenge. As the model evolved, it gained popularity and in turn, gained features that are readily available to G-Shock models like atomic clock synchronization, solar charging capabilities, and chronograph technology. It gained popularity with the millennial crowd, with the bright neon colors of the rubber bumper and stamp being key factors on top of the protection offerings. 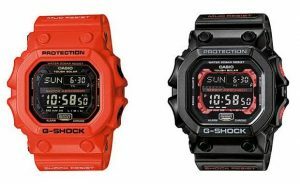 G-Shock has collaborated with various fashion brands like Maison Martin Margiela, Stussy, Bathing Ape, and countless others cementing their legacy within the ‘hypebeast’ crowd. 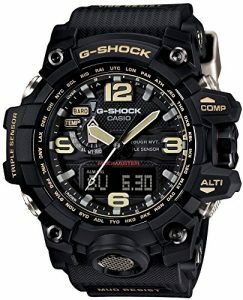 Their typical line-up consists of either the square-shaped or the circle-shaped G-Shocks with a selection of either pure digital or a digital-analog hybrid. This is a very personal question to start things off and only you can start the day off right with this one. Do I like the full digital aspect of time, or do I like the hands? Your first inclination for how to read time will easily determine the path you should take. Pure digital watches typically come in the square-shaped format, while the hybrid will be the rounder-shaped variety. Next is the sizing: digital versions of the G-Shock will provide smaller wrist space and not as intrusive as the hybrid versions. It’s also more discreet due to a more streamlined silhouette, so it’s perfect if you want a watch that would match your incognito lifestyle. The opposite can be said for the hybrid variety, which is bulkier, more pronounced with a chunkier rubber bumper, and a thicker silhouette overall. Both will still offer the same durability you expect, just in a different package to accommodate all tastes. The square DW5600M is a great example of a simple, no-frills, G-Shock companion. The G-Steel has a double-layered metal and plastic resin bezel, while the MT-G has a plastic housing with a metal bezel. 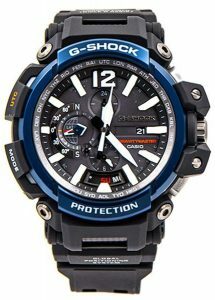 Both designs are classy and have a sophisticated look, without compromising the offerings that G-Shocks are known for. Think of it as a slightly upgraded version of the Original Models, which makes it stand out just a little bit more than the rest. The next two selections are similar in nature, but there are subtle differences between the two. The G-Steel has steel components added in, and same as the MT-G but the way it’s constructed is what differs. We personally picked the G-Steel GST-S110BD-1A2 and the MT-G MTG-G1000D, which offers the basic G-Shock requirements but also adds the metal flair that makes it stand out from the Original model lineup. As you step up the ladder beyond the Original lineup, we get the ‘Master of G’ model, which adds more features on top of what the Originals have to offer. The Mudmaster is focused on ground assault and conquering the land from within. As you go through the moss and the fjords, you can count on the Mudmaster being able to keep up. How does it do that? That means surviving elements such as mud, dust, offering features relatable to hiking such as a compass, barometer, thermometer, and 200m water resistance. These are aimed for hikers, mountaineers, and ground troops serving the military. Aimed to last against Earth’s toughest elements, the Mudmaster would be a perfect companion for any hiking enthusiast. Whether you be slinging mud, or coming down a scramble, the Mudmaster can do the job. The Gulfmaster helps the everyman take over rough seas and enjoy the adventure that awaits them, not deterred nor intimidated by the crashing waves. The Gulfmaster offers more features such as an altimeter, barometer, compass, thermometer, and a water depth meter. It has 200m water resistance, along with a tide graph, moon data, and sunrise/sunset data in order for you to circumnavigate the waters safely. Every feature was taken into account to serve a purpose, and the Gulfmaster possesses features critical for your nautical lifestyle. The Gravitymaster is meant to conquer the air by offering an aviation-specific watch. The elevation quickly increases and as the air thins out, the skies accompany you through the paces. As you’re in the air, you only care about features that would be critical for your survival so G-Shock focused on GPS hybrid timekeeping, latitude/longitude information, and 3-Way Sync for accurate timekeeping. It still has 200m water resistance, so don’t think this is a weak watch. Whether you’re an amateur pilot to a commercial one, you can rely on the Gravitymaster to provide the right time, wherever you go. 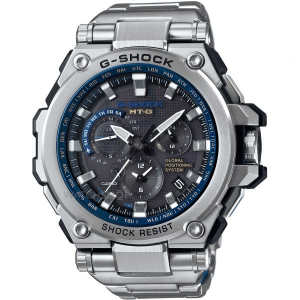 The epitome of the G-Shock lineup is the MR-G. Created with a vision of creating something special, only using the best materials that are available. 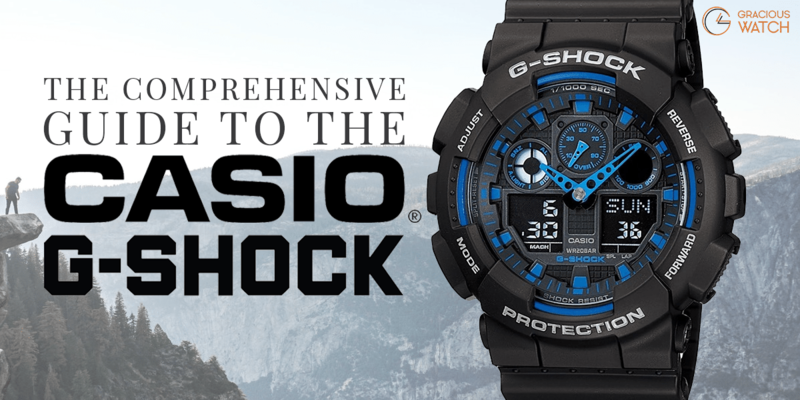 That means a G-Shock encased in titanium, carbon coating with a diamond-like toughness, and a sapphire crystal. 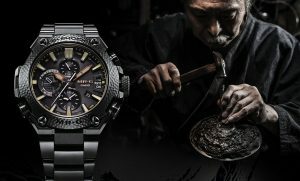 A selection of rare materials provides the G-Shock with an aura that is unmatched by other models, creating a unique piece to show craftsmanship within Casio. 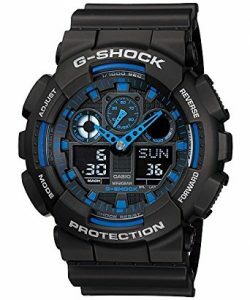 It still has extra features such as 3-Way Sync technology, and the durability you’d expect from a G-Shock but in a much more, elegant and painstakingly assembled package. The epitome model of the MR-G has to be the MRG-G2000HB-1A, which has the hammered bezel finish. The end-result is something eye-catching and quite striking to look at. So whether you choose the basics or you’re into the hammered finish, there’s a G-Shock that’s right for you and your needs. The hardest part is choosing one from the lot.